Try an Influence honey jar kit to sweeten him to the idea. Yes, and find a nice picture of a big comfortable house and put that in the honey jar with the other things called for in the kit. You could even use that picture for your petition paper. I should have thought of this before, but is prosperity an issue in this situation? Is your BF concerned that he couldn't afford higher rent or a bigger house payment? Do some prosperity work alongside or even IN that honey jar. A lodestone altar for prosperity is always a good idea. Put some King Solomon Wisdom in it, so you understand any opportunities that come your way. Based on your other posts, I think you should get a reading to see if this is a relationship worth saving first. You stated that he is a cheater, and that he ridicules and disapproves of your spiritual work. Would living in a bigger house solve these issues? Maybe the second one, if you had more space and privacy. Hi there - I've been working to try to sweeten and influence a couple of people to my desires and goals in life. I was just wondering what are the best days to work on a influence jar? So far I've been working them on Sunday, Monday and Thursday. Also - what psalms are associated with influence work? To influence others I'd work on a Tuesday (to give it that Mercury communication oomph) or Wednesday (for the Mars power). All the Psalms and their magical uses! If you are working their subconsious mind or targeting their emotions Mondays are fine. If working on their minds and what their thoughts are then pick Wednesdays. There are many ways to use the extra boost offered by the planetary hours and days in this way. I was taught to smack the jar while speaking their name and stating the petition then praying over it, thats how I work and influence mine. MaryBee wrote: To influence others I'd work on a Tuesday (to give it that Mercury communication oomph) or Wednesday (for the Mars power). Actually, Tuesday is ruled by Mars, and Wednesday is ruled by Mercury. Thank you all so much for your feedback. It is much appreciated. Will start with the new regime soon. what are the ingredients used in the influence Honey Jar? You could use licorice, cubeb berries or calamus root. They are both used to control. I think these are more controlling type herbs to dominate person and/or situations. You can order them at http://www.herb-magic.com/ . 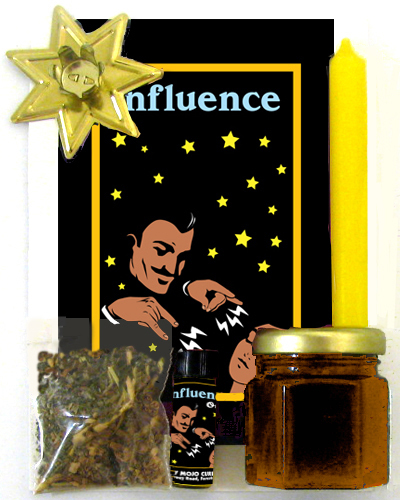 If you are looking for a milder formula to actually influence check out Influencing Products http://www.luckymojo.com/influence.html But you also want to add the other elements as well depending on your goal as you didn't state any details. Do you have the Influence Honey Spell in stock or is it on back order? I also wanted to order parchment paper but I can't seem to find it on your website as well as additional candles for this particular spell. 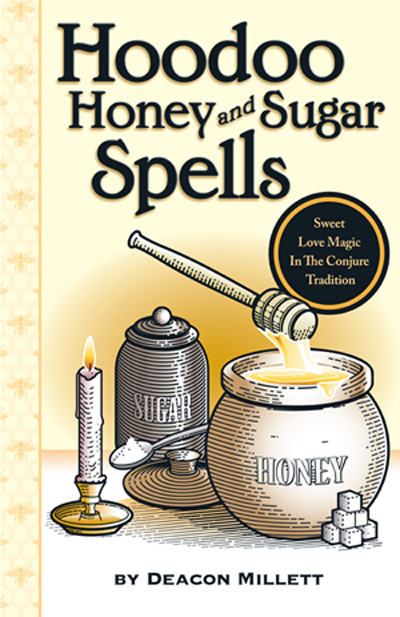 While you are waiting for the correct directions to arrive in the mail, be sure to check out Honey Jars and Sugar Box Magic Spells page. I tried searching the honey jar topics for an answer to my question but couldn't quite find anything that suited my situation so, here goes. I want to work a honey jar on someone to influence and sweeten them to love themselves and to sweeten them to love their life. Can anyone recommend any other oils/products and herbs besides the influence products (which I have already ordered) to make someone love themselves? I will also be working a skull candle influence spell on this person. You can change the petition to make him love himself. Also, the book listed above has terrific spells. I will definitely give the love me products a try! I have been doing influence on my ex. I have a question. I did it so he can have sexual thoughts of me. Before I even did the influence I wasn't thinking of anything sexual about him. Not really. Since I been doing it I been having alot of sexual thoughts of him. Does this mean it is hitting him too or has it just hit me? I can ALWAYS tell that my lust spells are working when I get sexually aroused performing the spells. And my clients get good results with the spells I perform for them. Not to mention the oils: That "Kiss ME NOW' makes me hot as hell. Omg. This is so amazing. It's like as soon as I burn my candle dressed with the oil and have the incense going I get turned on about him. Wow! That is what I thought. Amazing! I'm starting my second yellow vigil candle for my paper work to get approved and back to me quickly. If I annoint the candle with Influence oil, would Block Buster and Good Luck oil go well on the candle to? Or should I just stick to influence? Do the blockbuster spell first. Then, move on to the Influence. Hey. Just wanted to update. So this is my second vigil Influence candle. It is burning the same as the first one. Black smoke at the top, with a mix if white smoke under the black. Clean all the way down. The first one burned ok, but left a ring of wax at hte bottom. The second one is burning really fast. Not even three days and it is almost done burning. Same black and white smoke. I communicated with my spirit guide last night and had two readings. They all told me in May I should get my paperwork approved and back to me. The only thing that worries me is the black smoke on top of the glass candle. I made a stop gossip honey jar for coworkers and supervisors at work to ensure no drama and they are sweet to me..I believe so far its working bc somehow everyone else was paid for 2 hour training even if they trained 4 hours which is 2 more than my training but I was paid 10 hours and I believe my check this week was a little higher than theirs..
That's wonderful that you have had such a good response from your supervisor! Congratulations! You can keep up that momentum by putting him individually in a honey jar, and petition that he favor you for the promotion. If there are any other rivals for that position, put them in a freezer spell to keep them on ice, or work I Can, You Can't products. There isn't anyone else as competition at least not on the shift I'm on so I'm okay in that department.. He would have to talk to his supervisor to make it happen (their decision) so would it be best to put them in the honey jar with him? I started on my Influence kit today, as I've already hit the target with vinegar, lol. Not going to comment on my work, I just wanted to say that the kits are really nice. Since you only use a little pinch of the included herbs, you end up with plenty for multiple name papers. If you only have one person in your jar, this could easily give you enough herbs for 3-4 jars. Not too shabby. I do have a question about the candle color? Can we do purple candles with our jar? Why is it that yellow is used for Influence work? Purple is more dominating/demanding. Yellow is more persuasive. Oh, duh! Thanks so much! So, how does the idea of adding purple helper lights sound? Eh, maybe I shouldn't salt the food before I taste it! Lol. Purple helper lights sounds great! but im still new to herb usage and hoodoo really, so i wondered what you all thought about herbs in a case like this? I like all the herbs that you selected with maybe the exception of tobacco (unless maybe you are trying to increase some communication?). In particular if you plan to use this honey in cooking I think the tobacco might be a bit much. You might also put in a little Queen Elizabeth root just to give you a bit of an upper hand. All these herbs look like good peaceful home type herbs to me. Looks like you really did some research! Nicely done! Yea, i was a bit wary and confused on the uses of tobacco. I wanted something to have a controling aspect that was not as strong as the herbs used in commanding, do as i say, etc type products. (since it IS a sweetening spell.) But I mixed my list a bit to manage that. I thought queen elizabeth was more for love not influence? oh wait.. just found something in HHRM after looking it up that seems to be the perfect touch. thats AWESOME, thanks for bringing that up, this is going to go extremely well! Excellent work! You will have to tell us how it goes. I like adding the licorice root! Hello, i ordered a influence honey jar. I also added licorice root and do as i say oil. Is this a good combination? Is a honey jar and skull candle good to do together? What is queen Elizabeth for? Thanks for the reply. Do you or anyone have suggestions for the chant/prayer. Also i read on this form that adding some granulated sugar can speed up the sweeting process to a point. Can anyone comfirm that to be true or not and thank you.